Let my readers picture to themselves what a rational man must feel to find himself shut up for life in a madhouse, among madmen, and subject to the same treatment as if himself were insane: to have irons riveted on his legs, and his windows doubly barred: and, to make assurance doubly sure, the walls of his prison raised so high that any attempt to get over them would be certain destruction. Let them look at this, I say, and they will not wonder if a man so situate should be ready to despair: and become indeed all that his enemies wished him to be. However, praise the Lord, I kept from despair. Following mistreatment at West Auckland asylum, Jonathan was transferred to the public asylum in Gateshead, where his treatment was much improved. 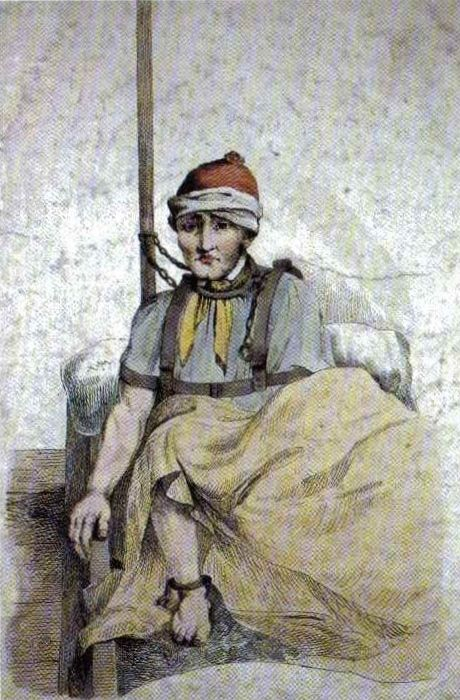 He managed to escape from Gateshead asylum in June 1820, but was soon recaptured. On being returned, his reception at Gateshead was most unpleasant, leading to perhaps the most depressing period in his life, though he never gave up hope.